There are many ways to monitor the passing of time. Calendars express days, month years. Clocks—minutes, seconds, hours. Birthdays are how we monitor our own age. The emotions that birthdays evoke are interesting. We all reach a certain point in our lives when we dislike the fact that we are getting older, the numbers getting higher. Conversely, as children we count down the days to our birthday and revel in being a year older. 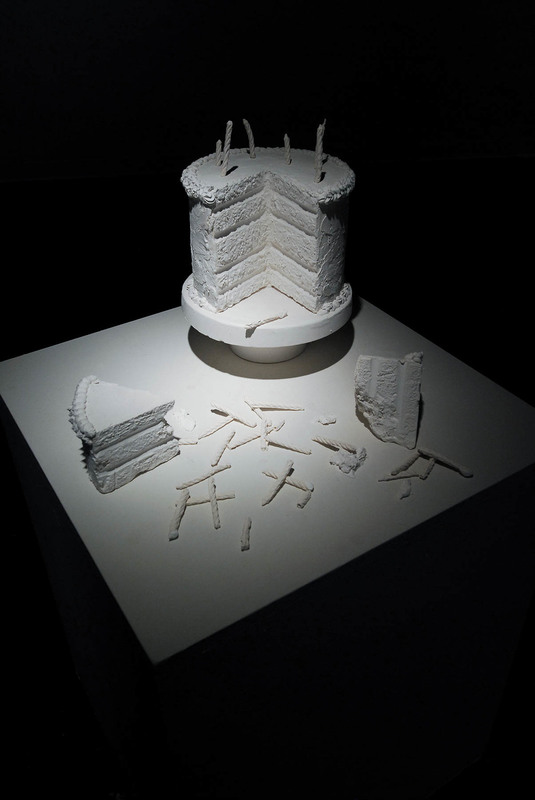 This piece represents a piece of time, a slice out of the cake of life. The cake represents age. Yet the two smaller pieces that come from it are the parts of our life. The slice on the left is the beginning—clean, in tact, almost perfect. The right slice is, comparatively, crumbling and falling apart. Young and old. However, they are both cake and there is no difference in their taste. The candles are strewn all over—mimicking counting, the marking of the passage of time. Yet, are they counting up, or melting away? 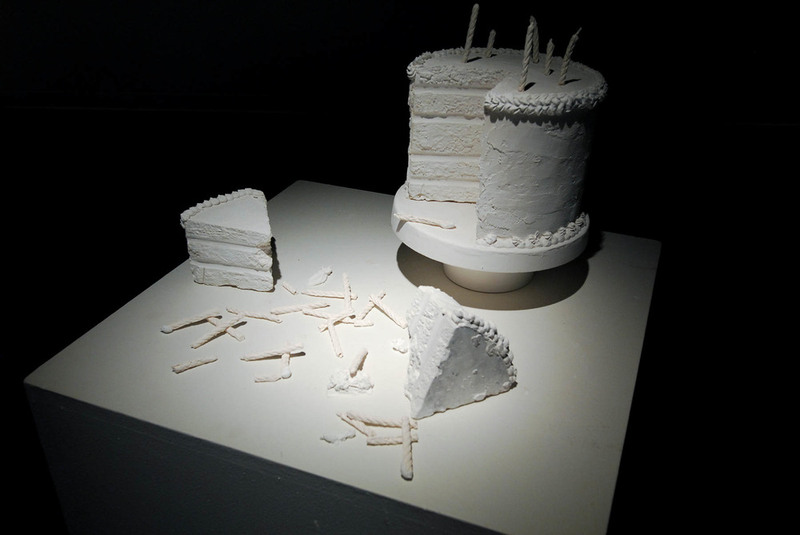 This piece was made entirely out of molded, carved and piped plaster; thus it is unfotunately not edible.